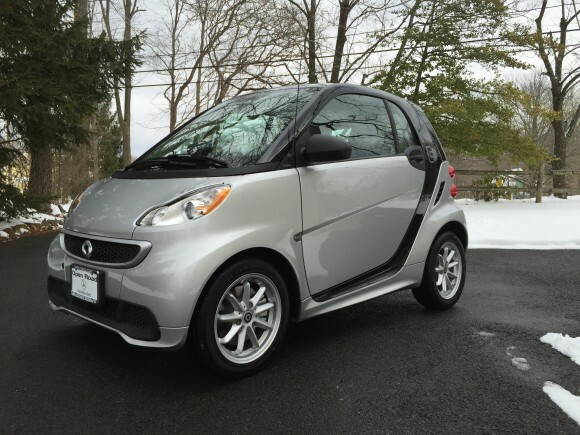 We have had the 2015 Smart Electric Drive for two months. 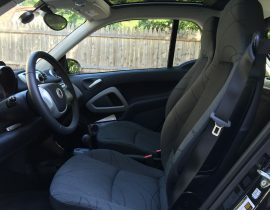 What are my thoughts so far on the Smart Electric Drive? Well, after not particularly wanting one for an awfully long time and, not even really wanting one when we did get ours, I have been pleasantly surprised in that I do rather like the Smart Electric Drive. I had always thought it too small however, once you are sat inside, it doesn’t feel that small at all, you forget that you are in a rather small car. You can stretch out your legs and arms but, just don’t look behind you. We usually take the Smart to the grocery store for the weekly family shop, that nicely fills the boot. 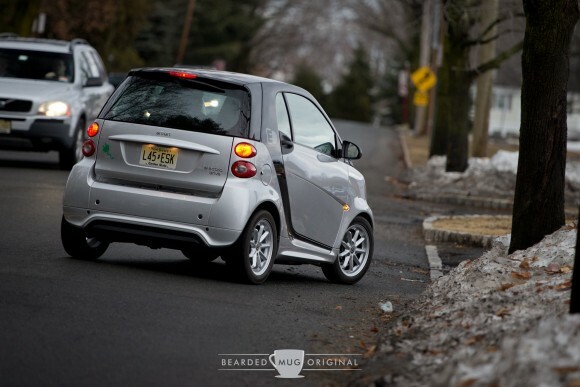 I’ll often take the Smart Electric Drive when my son doesn’t have it as, it is quite fun to drive. It definitely leans more towards the MINI E for driving style, although not as fun as the MINI E. It is no rocket ship and it certainly doesn’t pretend to be one. But, it will take off nicely when you need it to and, certainly makes people look as they don’t expect it to be able to move that fast off the line. It’s a little blur of an EV!! It handles quite well due to its low centre of gravity – its batteries being underneath the car – it corners nicely. It rides well too, and is firm enough for me to be okay with it. I love that you can park it pretty much anywhere and, in all those spaces that no other vehicle, except maybe a motorcycle, can fit into. 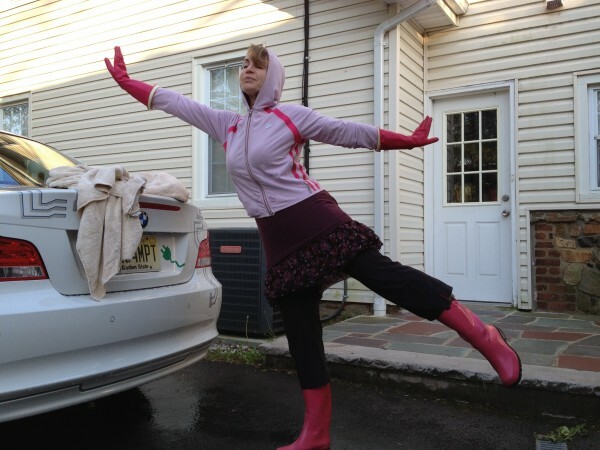 When I drive into a parking space I am still surprised by the space that I have left around me. You could easily fit two Smart’s into most parking spaces. The Smart Electric Drive is so easy to wash. Sometimes I forget whether I have washed all sides of the car as, it takes so little time to get round the car, I always think I must have forgotten bits. 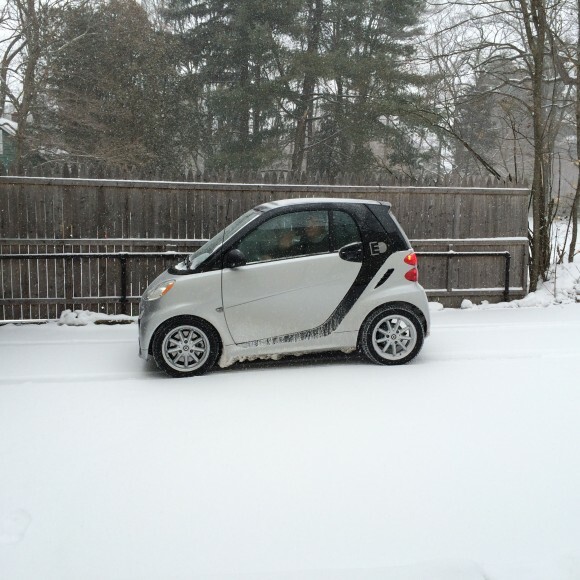 The cold weather is little match for the Smart’s heating. The car gets so toasty and warm with the heater on that we have it set to the lowest setting and, even then it is still too warm – I wonder is it faulty or just so well insulated? The range is okay on the car, on the coldest day here in NJ with the heat on full, and the heated seats on, it was reporting a wonderful 36 miles of estimated range. After it warmed up a bit so the heater wasn’t working quite so hard we were seeing a better 50ish range. I am expecting to see into the 70’s when the weather is back to normal temperatures. Hopefully even higher in the summer. I like the big, prominent “State of Charge” gauge, it is more accurate than the guess-o-meter miles to empty. I also like the eco driving meter, I must get to 100% – why did the traffic lights have to change suddenly? Don’t they know that that costs me my eco-ness? The way that the eco gauge works though is a little odd. I was amused one day whilst driving as I couldn’t get the eco percentage to increase even though I was driving very carefully. It turns out that the gauge works by measuring my behaviour when I set off or slow down. On this day, my whole journey saw the traffic lights all at green so, I didn’t have to do any stops and starts – amusingly frustrating for the eco side, but a very pleasant drive otherwise. 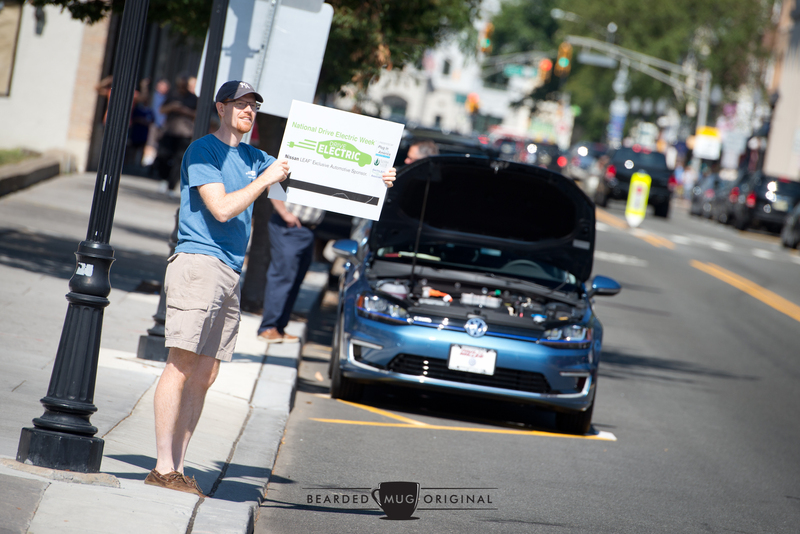 One day while waiting at a red traffic light a large pick up truck that was driving through the intersection looked at me in the Smart Electric Drive as I looked at him – I wonder if he was thinking the same as me – My car/that car could fit in the back of the pick up truck! 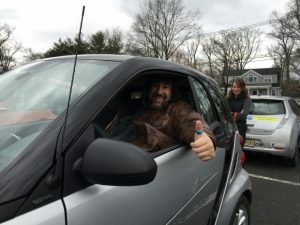 We took the Smart Electric Drive to Cars and Croissants a couple of weeks ago, you know, to test the waters to see what ‘car’ people would think of it. It was quite well received, people were interested in what is was and amazed at how small it was parked next to the other cars, still only taking up half a parking space. Many of our EV friends tried out the space inside, and although a little on the small side for some of the taller gents, I think it was rather well liked.